After fifteen years in the civil service at the receiving end of personal vendettas, Tang Xianzu retired to live as a recluse at his house Yu Ming Tang in Linchuan, where he wrote his greatest works. During his life, he formed close attachments to three people, whose influences left their mark on his writing. Tang took immense inspiration from his teacher Luo Rufang, a scholar of the Taizhou School of Thought who believe that human beings experience a variety of desires and it was not an act of benevolence to suppress them. The left-wing thinker Li Zhi, who advocated the liberation of the individual, was a very good friend to Tang. As was the Zen Buddhist monk Da Guan. His affinity with the otherworldy romanticism of Daoist fantasy, pursuit for unfettered expression of individual desires, tempered by meditative Buddhism, would turn the expression of emotion, under Tang’s masterful pen, into an art. Like many art forms in China, such as manhua, the innovations of new authors are built firmly on the foundations of previous generations. Tang Xianzu’s greatest work, “The Peony Pavilion”, like other classics “Outlaws of the Marsh” and “Journey to the West”, would not have come into being without story telling scripts. However, “The Peony Pavilion” transforms the story of Du Liniang from what is light-hearted comedy told at the teahouse, with well-matched lovers and obliging parents, to a tragic story of forbidden love, between a noblemen’s daughter, and a penniless scholar, with a host of interesting supporting characters including a judge, a quack, a nun and a deity to boot. Tang Xianzu characterises the heroine Du Liniang with complexity and depth unusual for the literature of his time. Born into a noble family, she is intelligent, well-educated but also behaves with a propriety and decorum that befits her conventional high breeding. After falling in love with Liu Mengmei, she pines away and dies from illness like a tragic damsel in distress. However, this damsel has more than enough muster to save herself. Her soul defies the rules of life and death, challenging the decision of Yen Luo Wang, the lord of the Underworld in a debate that ends with her return to the living world, to reunite with her beloved. Here, conventional propriety steps in to moderate her expression of love for Liu, refusing to consummate their union before marriage. The end of the story sees Du again in daring defiance, opposing her conservative father who tries to force her into an arranged marriage and brings her before the emperor to “exorcise the demon”. It is her appeal to the emperor that moves him to grant a fair verdict and happy ending to the story. The employment of the character of Chun Xiang, Du Liniang’s maid, is interesting. She not only acts as a facilitator in her mistress’ pursuit of true love, but also as a representation the adventurous and inquisitive side of Du’s personality. It is at her instigation that the young lady ventures into the back garden in Spring, in admiring the beauty of Nature, catches a reflection of her own beauty, and mourns the passing of time. In doing so she conjures Liu Mengmeng as the fulfillment of her longings. A flower spirit leads her to meet him in her dream. And Chun Xiang, whose name means “fragrance of spring”, resembles a sort of fairy godmother. The play intertwines elements of the surreal and supernatural with reality, imbuing it with magical, romantic charm. The play is not just a tragedy. Totalling 55 acts, the first 28 fall broadly under tragedy with a comic setting, and the next 27 comedy with a tragic setting. With a range of supporting characters complimenting the main and offsetting each other, peppering the story with wit and moments of slapstick humour, providing a well rounded social context to the plot, “The Peony Pavilion” is tragicomedy and a comic tragedy that moves, entrances, entertains, enabling the audience to experience a whole gamut of human emotions. 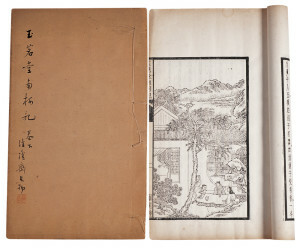 “The Peony Pavilion” is undoubtedly the masterpiece among Tang Xianzu’s works and a rare one of its nature in Chinese literary history, though he did write a range of works at Linchuan, including three other plays that make up his “Four Dreams of Linchuan” collection. They all take as their basis earlier Tang legends. “The Tale of Handan”, adapted from “The Pillow Tale”, is the story of a pauper who is overheard by the immortal Lü Dongbin bemoaning his life, after which Lü grants him a jade pillow. The pauper sleeps on the pillow and gets to experience a life of luxury in his dream. After his period of decadence and debauchery the pauper decides to cast away his material desires and take off with the immortal to learn the ways of Dao. Tang drew on his personal experiences of the decay in rich society, but it’s his his depiction of ordinary people, the labourers, foot soldiers and boatmen, and caricature of the Emperor Tang Xuanzong, that steals the show. Tang Xianzu is on the whole at his best when writing about love and attachment and the passion with which this is realised. In “The Tale of Nan Ke” adapted from “The Tale of the Governor of Nan Ke”, failed scholar Chun Yufen finds himself transported into another world whilst inebriated, an ancient tree with a colony of ants act as his portal to the Kingdom of Huai An. There he falls in love, marries a princess and at one point rescues her from kidnappers. She dies from illness. In the original legend, he is transported back to his own world and laments that it was all just a dream. 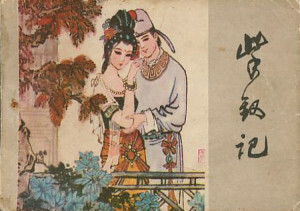 Tang alters the ending, turning what is a mere tale of fantasy that inspired the idiom “Nan Ke Yi Meng”, into a memorable love story. After finding himself back in the human world, Chun visits a priest and urges him to perform the rites to conduct his dead wife’s soul to heaven, where he would presently join her. Traditional Chinese society was founded on a patriarchal system that confined women to very low status both professionally (almost non-existent) and socially. In his explorations of the love story as a genre, Tang Xianzu elevated women to the centre of the plot and gave them a much needed voice. 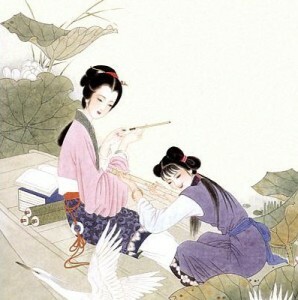 In “The Tale of the Jade Hair Pin”, based on “The Legend of Huo Xiaoyu”, he changes the fate of the heroine Huo Xiaoyu, from forgotten first wife, to lowly songstress willing to accept the second class status of concubine just to be with the hero, thus doubling our sympathies and magnifying the social indictment. 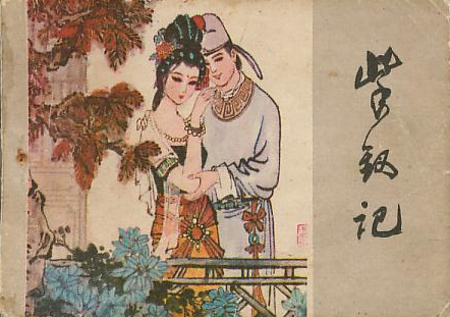 Tang Xianzu’s and what is known as the Linchuan, or Yu Ming Tang dramatic style had a profound impact on Chinese literary history, inspiring major playwright for generations to come. 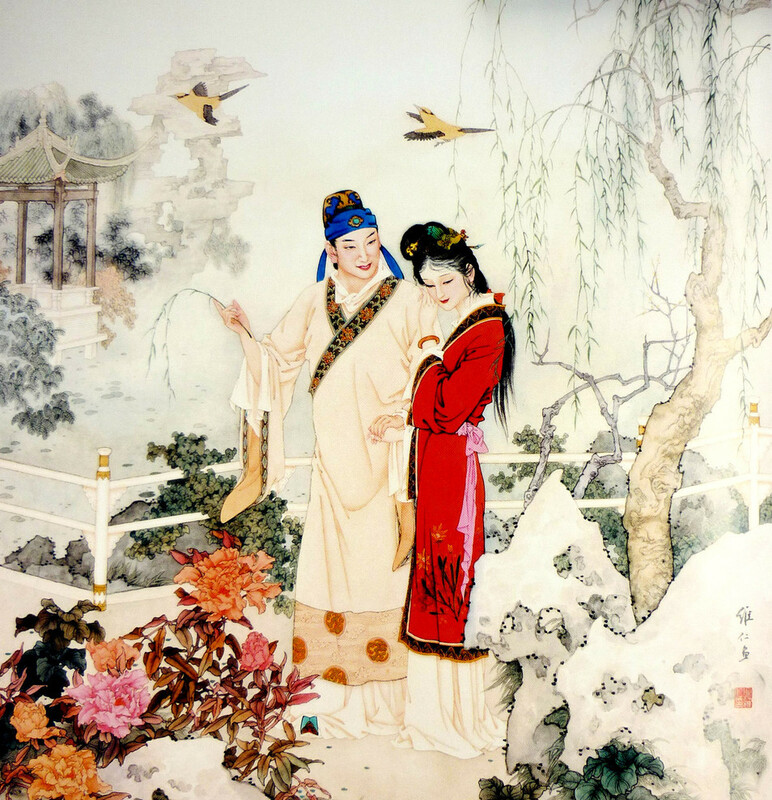 This weekend you’ll have the rare opportunity of seeing his greatest work “The Peony Pavilion” set to Kunqu opera, a musical form best suited to express the exquisite subtleties in Tang’s writing. 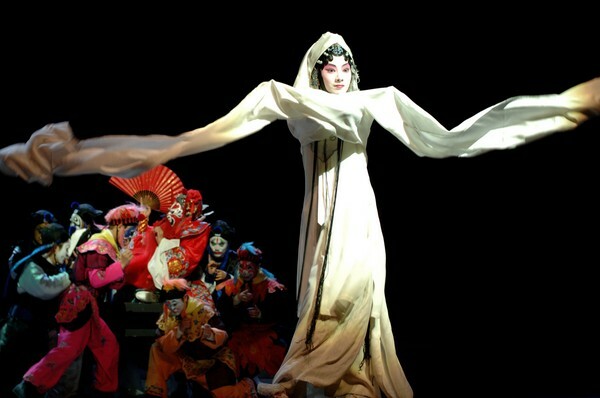 This is the “Young Lover’s Edition”, developed by renown writer Bai Xianyong and Souzhou Kunqu Opera, a version that has a modern feel in the set design and stylistic expression whilst keeping to traditional musical form and costume. 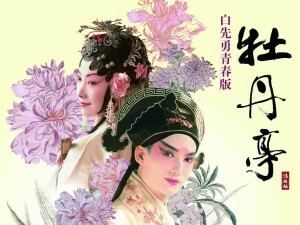 Even with performances over three nights and nine hours, Bai has condensed the play from the original 55 to 29 acts, retaining the essence of the original work. Kunqu was on its way of obsolescence in China when it became listed a UNESCO Heritage in 2001. 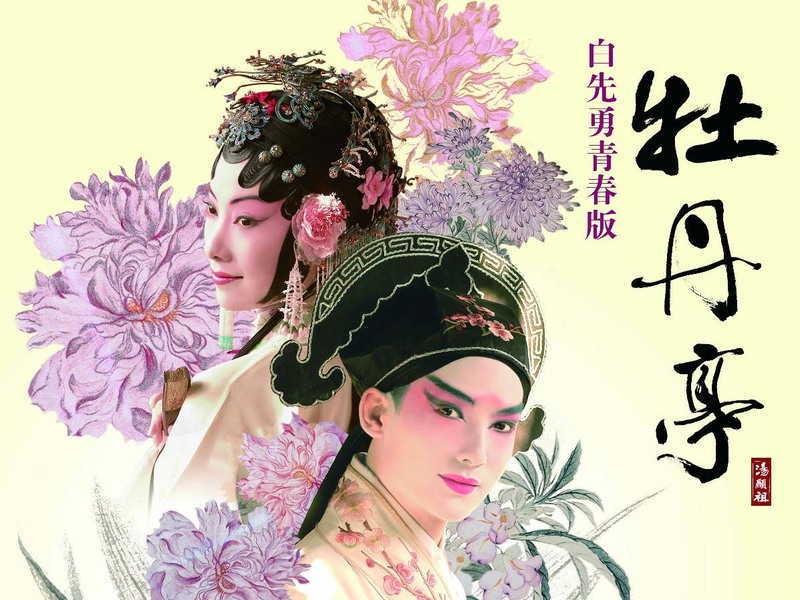 This prompted a revival and the “Young Lover’s Edition” has been exceptionally well received since the beginning of its first tour in 2004 with several generations of young musicians having undergone “the devil’s training programme” under retired masters of Kunqu. The older generation passing on their skills to the younger one, adapting the art form so it survives and evolves. That’s how it ought to be. The process having been interrupted in China’s past, I am very happy to see it now picking up and continuing, into China’s future. The highest form of examination for the imperial civil service. 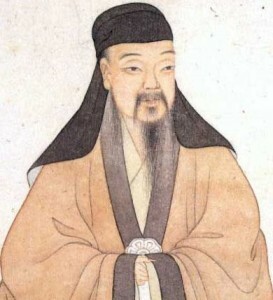 The repression or moderation of desires was promoted by Cheng Zhu, the mainstream thinking at the time. The “Hua Ben” literary form originated from storytelling entertainment in teahouses during the Song Dynasty and matured during the Yuan.